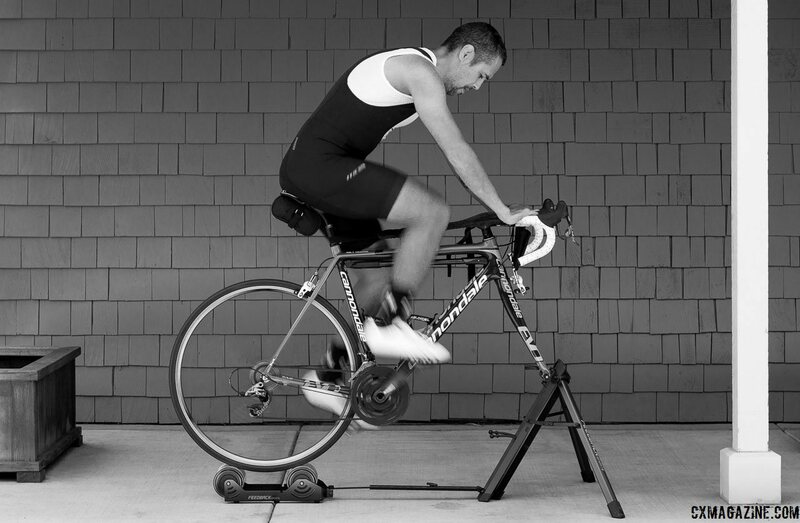 Two years ago, SportCrafters introduced the super portable Omnium trainer, which we tested and reviewed in Issue 24 [digital here or print back copy]. 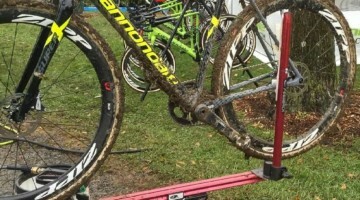 In late 2015 Feedback Sports, makers of popular consumer work stand and bicycle storage solutions, teamed up with SportCrafters to share design and manufacturing resources. One of the first fruits of this collaboration was a new and improved Omnium trainer, which is now sold under the Feedback Sports brand. 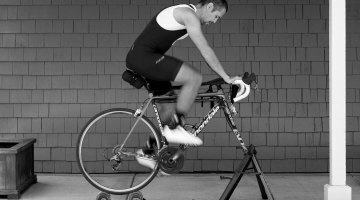 Employing SportCrafters’ 30 years of expertise in bicycle rollers, the all new Omnium is Feedback Sports’ first trainer. Now refined by Feedback Sports' Colorado team, the Omnium trainer now sports the company's familiar red anodized finish and a significantly improved frame. Our review of the original Omnium praised its portability, progressive-resistance roller technology, and minimal effect on tire wear. 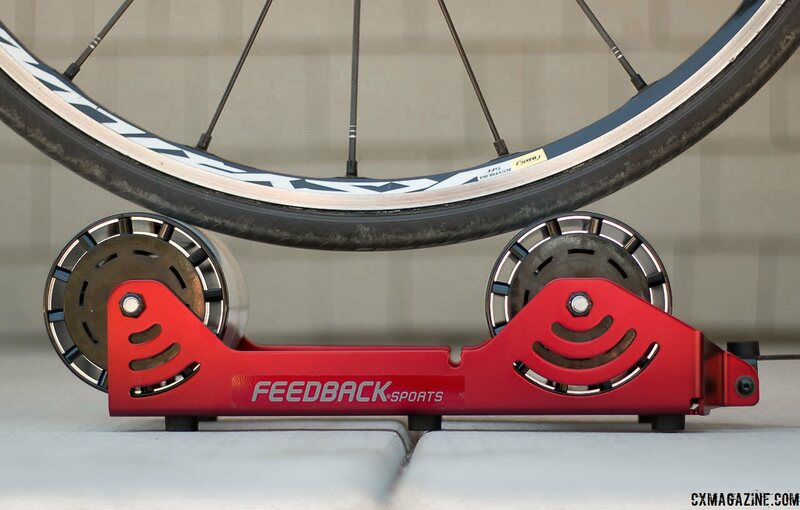 Happily, Feedback Sports’ trainer exalts most of the same features that made the original Omnium a go-to solution for racers, travelers, and the space-conscious. At 13.76 lbs (actual) and 27.75” x 7.25” x 8,” the new Omnium is 0.2 lbs heavier, 2” wider and over 5” longer than its predecessor. 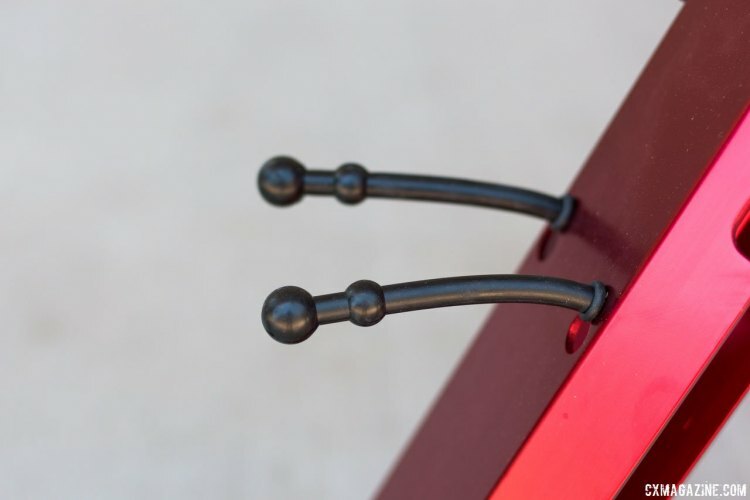 Feedback Sports redesigned the aluminum frame to be more stable, durable and user-friendly. Gone are the chromed steel leg inserts, which took some care to thread into the frame. The new one-piece, quick-folding aluminum tripod eliminates most front-end rocking, and its thick rubber feet have more grip and durability than the previous polycarbonate tips. Additionally, the tripod offers two mounting positions for different fork sizes and comes with adapters to accommodate 12mm and 15mm thru-axles (including 15mmx110mm boost axles). Feedback Sports updated the rear chassis with its trademark red finish and six rubber knob feet, thus eliminating the once-needed individual rear rubber mat. The new Omnium comes with a sturdy, and slightly larger soft travel bag which houses the axle adapters in an internal sleeve pocket. The technology behind the new Omnium’s ride quality remains the same, though the marketing has changed. 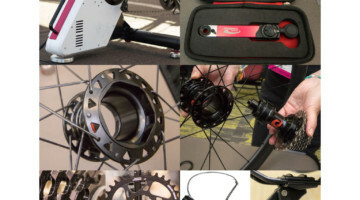 Feedback Sports renamed SportCrafters’ “ARC Power Modulation” to “IRP,” or “Internal Progressive Resistance.” Though the Omnium’s maintenance –free technology is unchanged, one significant change is that the new Omnium is not backed by a lifetime warranty. 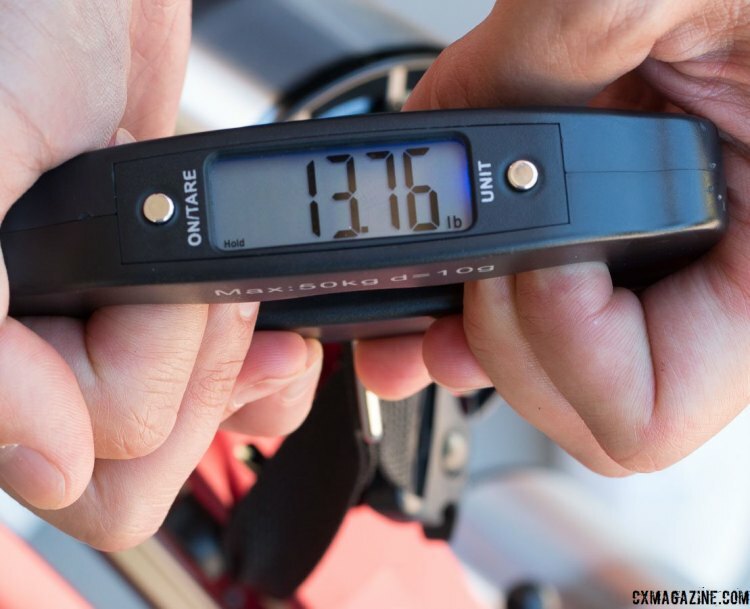 Feedback Sports offers a three-year warranty and advises a 225 lb rider weight limit for its trainer. 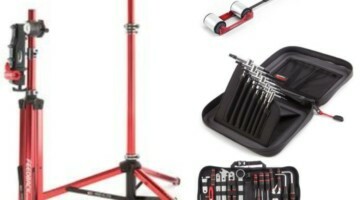 A three-year warranty may seem reasonable for an ultralight bicycle accessory, yet it’s hard to ignore the lifetime warranty this trainer once possessed and that competitors offer for their trainer designs. The Omnium sets up very quickly. It took as little as 20 seconds to remove the trainer from its bag, unfold the tripod, mount the fork to the quick release stand, and adjust the track for my road bike’s wheelbase. 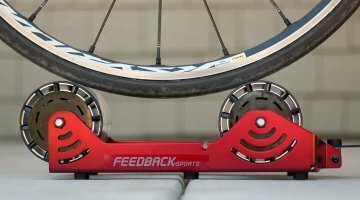 Kudos to Feedback Sports for taking a great race day trainer and making its setup even better. The new Omnium rides almost exactly as the old one did, yet with improved stability. Heavy efforts still produce some slight rocking in the front end, yet the rubber feet do a better job of keeping the new Omnium in place and are far more durable than the old polycarbonate caps. 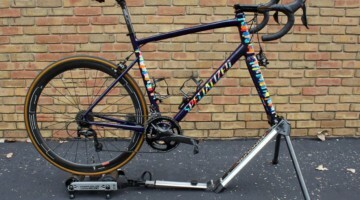 Somewhat like a cross between a fluid trainer and standard size rollers, the Omnium is very quiet, produces only slight tire wear and largely mimics the feel of riding outdoors—up to a point. The Omnium’s resistance is adequate for most warm ups, though not robust enough for intervals requiring the highest levels of maximal power, such as sprinting and power profile testing. 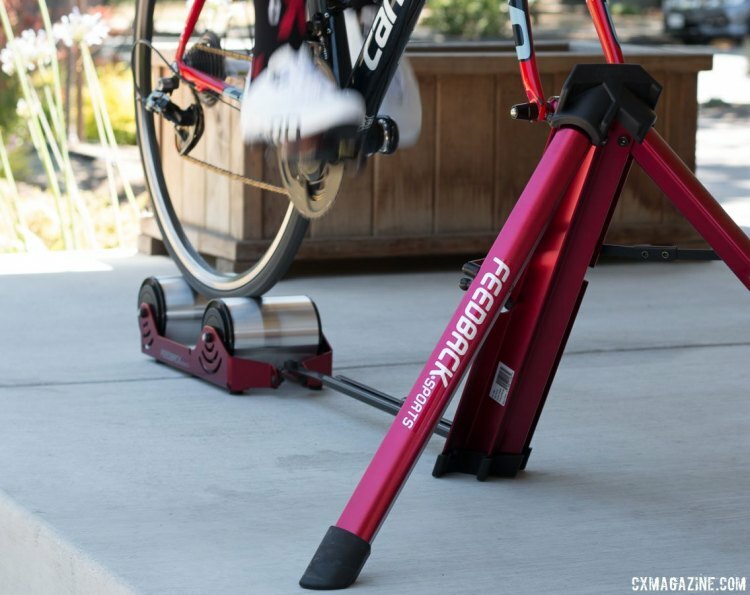 The Omnium provides enough resistance to crank out almost 700 watts at 100+ rpm in a 53x11 gear—impressive for what are ostensibly travel rollers. Yet unlike the best rollers, the inertia of the Omnium’s IRP technology is limited; while coasting the Omnium maintained momentum for a couple seconds before stopping. Though I didn’t mind the Omnium’s lack of inertia, others might miss the ability to spin more freely at lower cadences. Feedback Sports lowered the Omnium’s MSRP to $429.99 (SportCrafters’ sold the original Omnium for $450), and its price point is primarily for those who travel, seek a tactical advantage come race day, or want to ride in a small space. The Omnium trainer still embodies almost everything a good trainer should be—portable, versatile, durable, and capable of giving you some resistance when needed. 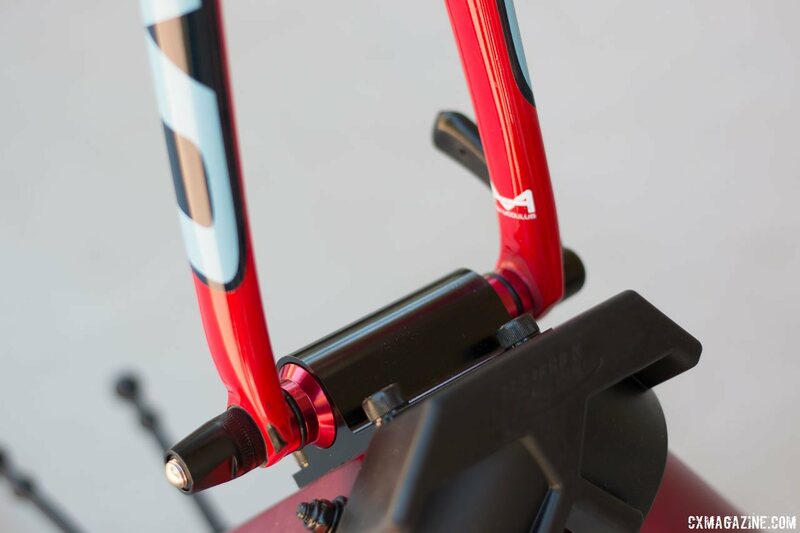 Its ease of use makes the new Omnium better than most trainers when it comes to set up and tear down, but it's worth noting that the incredibly small form factor brings a few limitations in terms of resistance and stability for serious interval training or big, powerful riders. Stay tuned for a longer-term review as we test it during the race season. Absolutely love ours! Trainer was always the hardest thing to fit in the van when going to races. The Omnium is a piece of cake, which means it always comes along so we now get a far more consistent warmup.